Navinchandra Mehta Institute of Technology (NMITD) Library is one of the largest tangible treasures of knowledge for the study material resources. NMITD Library resources are an amalgamation of number of study material formats. As on date it has a collection of about 7500 books, 62 National and International journals/magazines and 250 non-printed material and online databases organized into different viable branches (MMS & MCA). It was intended that it should be a library of reference, a working place for students and repository of material for the future historians of the society. 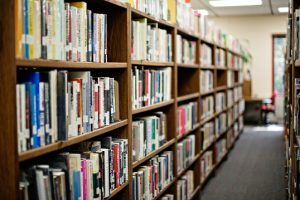 THE RESOURCES AND THEIR ORGANIZATION IN LIBRARY: The total collection of the library has been segregated into various sections for the convenience of organization and reader’s services. GENERAL COLLECTION: The general collection housed in the ground floor provides theoretical exposure to various disciplines and has a strong collection in text books and reference books form. REFERENCE COLLECTION: The resources of the Reference Section contain a strong reference collection in periodicals i. e. journals and magazines in different spheres of knowledge. It is the policy of the NMITD Library to update these reference sources periodically. SPECIAL COLLECTION NON-PRINT MATERIAL: In addition to normal printed documents library has developed non-print media collection especially for research purposes. That includes AICTE mandatory online database namely J-Gate. We also consistently subscribing to ‘SAGE’ online and print academic journals. We provide Web based services with the help of such databases. ACQUISITION SECTION: This library acquires books in various disciplines of IT, Computers and Management Sciences. We accept suggestions not only from the respective faculties but also from the students as well. PROCESSING OF DOCUMENTS: The books are catalogued on the basis of UNIMARC (Universal Machine Readable Cataloguing) format and AACR II, and classified according to Dewey Decimal Classification, 20th edition. While cataloguing, subject headings are given by using the Library of Congress Subject Heading (LCSH) list. The latest additions to the library are published as quarterly book news to inform the users about updation of the collection. The bibliographical data is available into machine-readable format with the help of ERP. This helps in announcing our as a fully automated library. INFORMATION TECHNOLOGY APPLICATIONS AT NMITD LIBRARY: In addition to the collection development process, the Library has been venturing in the field of information and communication technology by providing strong infrastructure support to use IT gadgets. The Online Public Access Catalogue (OPAC) has been activated for search of library material. In addition to the OPAC services, Library is being providing access to Internet service. Opening hours from 9.00 A.M. to 6.00 P.M. Monday to Saturday. The library will remain closed on all public holidays notified by University of Mumbai. All users must prepare to leave the Library ten minutes before closing time. Items available for loan may be borrowed until ten minutes before closing time. Use of Library is strictly reserved for students possessing a Library Membership Card and who are wearing Identity Card. Library remains open from 9.00 a.m. to 6.00 p.m.
Library remains close on Sunday and public holidays. Deposit your personal belongings at the Property Counter. Fine of Rs. 50 will be charged for keeping bags on chair / table. Students have to take care of their valuables. Library will not be responsible for any loss of valuables. Mobile phone to be kept on silent mode before entering in the library. You are not allowed to attend the mobile in the Library. Since our library has open access, personal books, magazines are not allowed in the Library. Library Book issued on library card is not allowed to carry inside the library. Playing games or music in the library is strictly prohibited. Please make an entry of the book which you will be referring in the Library. Enroll your name in the register for the use of Library computer. Do not make any marks on the book. Fine will be charged for the damage of books. Renewal or re-issue of the book is allowed only once in the regular course. This facility is not allowed during examination time. Rs. 50.00 will be charged for the issue of duplicate Library card. All readers are required to maintain discipline in the Library. Fine of Rs. 50 will be charged for talking. Note: The main purpose of these rules is to safeguard the common interest of all students and to enable the Library to carry out its functions as efficiently as. Students are reminded that these rules have the force of Regulations for Discipline by the Disciplinary Committee. I am Mrs. Shamala N. Muzumdar; your librarian at DES’s Navinchandra Mehta Institute of Technology & Development. I am working with the organization since August, 2009. I had also worked for MET, Bandra for seven years and with Lehman Brothers Services India Pvt. Ltd. for two years. Working with academics is my passion. I enjoy my work being with youths, who possess inquisitive and innovative minds. That’s the way I keep my pace with today’s IT oriented world. I have done my graduation (B. A.) from D. G. Ruperell College, University of Mumbai; and then post-graduation in Lib. Sc. from YCMOU, Nashik. I have also completed my M.H.R.D.M. (Masters in Human Resources Development Management) from University of Mumbai. This is my academics part. I also have passion for hiking and trekking. I feel happy when students come to me for their academic queries without keeping any barriers. I hereby appeal all students to feel free to contact me personally in the library for their queries. Please feel free to contact me. Our library contact number is 022-33914570, and my e-mail address is shamala.muzumdar@gmail.com. Thank you. Please fill out the form below and click the Ask button to send us your comments or queries.